You wonder yourself how to avoid mosquitoes who are permanent unwanted guests in your home or yard. 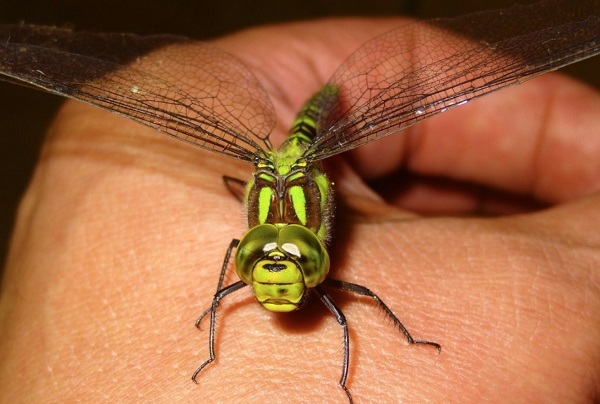 Here are the dragonflies to help, they have the ability to eat a large number of mosquitoes and use them as their prey. With this they can become protectors of your garden. They eat mosquitoes when they are in the larva stage. So it’s really good to have some dragonflies in your yard in the summer days. Firstly, you need to make a small pond in your yard, because 95 percent of their life dragonflies pass around the water. The pond should be at a depth of about 1 meter and a width of about 15 meters. In the end, you can place a few stones or pieces of rocks as a decoration, and on the other hand, that will be a place to rest for the dragonflies. Secondly, water plants should be added to the pond. For example, you can try the water lilies. This will create conditions for placing their eggs. Also, Glyceria Maxima is a great water plant where dragonflies could lay their eggs, because they have superb suitable leaves. It is scientifically proven that vitamin B1 acts preventively against mosquitoes, especially in the summer. Vitamin B1 helps neutralize natural scents, which are magnets for mosquitoes. We all know that spirulina is a great natural source of vitamins B, so we recommend it as a dietary supplement. It also contains folic acid, vitamin E, vitamin K, calcium, magnesium, sodium, iron, manganese and zinc.